In Joint Recital, Arcadia, Tues. Eve. March 15 . Efrem Zimbalist, Violinist. 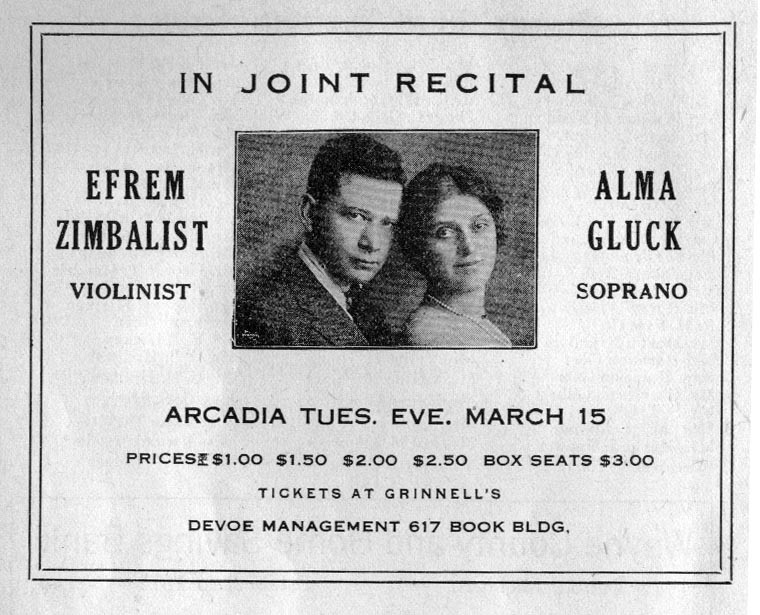 Alma Gluck, Soprano. Detroit Symphony Orchestra 1920-1921 Programme, page 650. Are you looking for GLUCK ancestors? If so, we suggest posting a query to our Community Message Board to get assistance from other researchers.